These labels are a great addition for back to school preps. I use these on baskets for students when they come in with their supplies. It makes it so much easier for the students to grab from during the back to school frenzy! 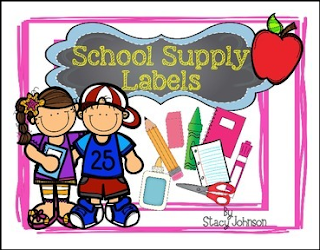 They can also be used year round if students share all the classroom supplies and you need labels for those containers. I hope you enjoy them! Thank You!